Are you sure you want to remove Confessiones from your list? The confessions of St. Augustine: revision of the translation of Rev. J.M. Lelen. 1997, Catholic Book Pub. Co.
in English - Rev. ed. in Latin - Editio altera. The confessions of St. Augustine. in English - A limited ed. in English - Collector's ed. Le confessioni. : Introd., versione e note a cura del Giuseppe Capello. Le confessioni. : [Di] Sant'Agostino. Introduzione, testo e traduzione a cura di Antonio Marzullo. Premesse e note a cura di Virginia Foà Guazzoni. Gespräch mit der Mutter in Ostia und ihr Tod. : Aus Bekenntnisse. in Arabic - al-Ṭabʻah 2. Confessions. : Translated with an introd. by R.S. Pine-Coffin. Confessiones. : Bekenntnisse. Lateinisch und Deutsch. Confessions. : In the translation of Sir Tobie Matthew; rev. and emended by Roger Hudleston. 1953, Fathers of the Church, inc.
in German - 5. Aufl. Les confessions [par] Saint Augustin. 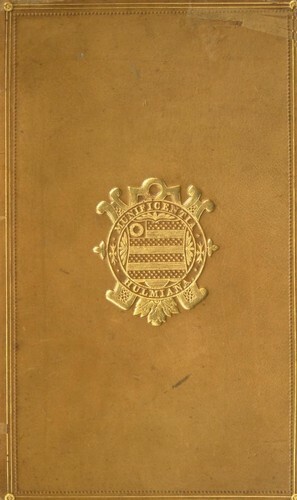 : Traduction nouvelle avec introduction et notes par Joseph Trabucco. Confessions. : Texte établi et traduit par Pierre de Labriolle. in French - 4. éd., rev. et corr. Confessions. : Translated by E.B. Pusey. in English - Black and gold ed. The confessions of St. Augustine: books I-X. Confessions. : With an English translation by William Watts. 1631. The confessions of S. Augustine: books I-X. The confessions of S. Augustine, inten books. 1900, Kegan Paul, Trench Trüber & Co.
1900, Kegan Paul, Trench Trübner & Co.
S. Aureli Augustini confessionum, libri tredecim: ex recognitione P. Knöll. The confessions of Saint Augustine. 1898, Walter Scott, Ltd., Paternoster Square. The confessions of S. Augustine: book I-X. in English - A revised translation. in French - 9e éd. The confessions of S. Augustine. The confessions. : Rev. from a former translation by E.B. 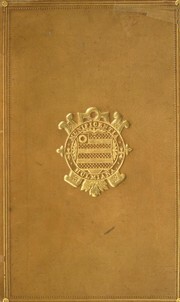 Pusey, with illustrations from S. Augustine himself. in French - Nouvelle ed. St. Augustine's Confessions: or, Praises of God in ten books : newly translated into English from the original Latin. in French - Nouvelle edition. 1683, Apud Balthasarem ab Egmont et Soc. Dess heiligen und hocherleuchten Vatters Augustini Bischoffs zu Hippon ... Dreyzehn Bücher der Bekandtnüssen: auff hertzliches Verlangen vieler gottseeligen Seelen dess gantzen teutschen Landts, endlich Einmahl auss der Latinischen in unsere teutsche Sprach ubersetzt und getruckt. Divi Aurelii Augustini episcopi Hippon. Confessionum, Libri XIII. Ex libro retractacionum sancti augustini episcopi. Confessionu[m] mearu[m] libri xiij & de malis et de bonis meis deu[m] laudant iustu[m] et bonum ... .
in Italian - 1. ed.